This post is about my top 10 biggest stock positions in euro’s I currently have in my portfolio. I don’t often pay attention to the size of the positions I have, because I most of the time base my decision to buy stocks on other factors then looking at the weighting of a single position in my portfolio. At the moment it’s in my eyes still not a big issue, but it’s something to be aware of. Enbridge is responsible for 4,8% of my portfolio, because I did use my monthly budget twice on purchasing Enbridge. Having almost 5% in a single position is maybe already the maximum I should have if I want to keep my portfolio balanced and diversified. I’m just a private person who enjoys reading about companies and selecting shares, but still I’m aware that I’m not a professional investor with a massive team doing market research which makes it able to select the best stocks. So I really believe that I should keep my portfolio spread out over different companies, sectors, regions, currencies, etc so my return can’t be massively influenced by 1 bad stock pick. For that reason I decided to take a look at my top 10 biggest investments. I will also use the top 10 of my portfolio as inspiration to write 10 follow up articles in the next few weeks. In these follow up articles I will update the summary I made of the key financial figures of these companies when I made my investment decision. 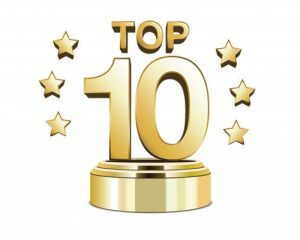 By writing articles about the top 10 biggest positions in my stock portfolio I will push myself to evaluate again if I still consider these companies worth being in the top 10. The top 10 of my stock portfolio is making up 33% of the total value of my portfolio. I have 41 positions so if every stock would have the same size the top 10 would be approximately 25%. So in my opinion the top 10 is not making up a to big share of my portfolio. If I look at my top 10 it doesn’t really give me the feeling I have a very diversified portfolio. Energy, Utilities and Real Estate companies are making up most of the top 10 list. This is the result of me being a dividend investor and companies in these sectors often have a steady dividend and got a prominent position in my portfolio. By just making this list I feel I also should compare my portfolio grouped by sector with a benchmark like the MSCI world index or S&P 500 index to evaluate where I differ from these indices so I can evaluate if I consider it a problem or that for some reason I totally miss a sector or geographical area in my portfolio. I know I’m mainly invested in North-America and Europe, but I have the idea that by investing in large caps like for example Apple, Unilever and Coca Cola I also have exposure in other parts of the world where I simply don’t have enough knowledge to do stock picks. Based on comparing my portfolio with a world index I will make up my mind and see if I need to make some adjustments in my portfolio by selecting stocks from different regions. Although I think I would prefer buying a regional ETF in this case to avoid the risk of not having enough information available about for example African or Asian stocks. I don’t have the feeling I’m missing out on something by not having an African company in my portfolio, but just having 1 small position in Baidu (BIDU) is probably not enough to say from my portfolio I have enough exposure in Asia. Will be fun to compare my portfolio with a world index and have a look at the differences. Anyway, just looking at the top 10 of my portfolio gives me inspiration to look critically to my portfolio and ask myself the question if my portfolio is balanced enough. Like I said I will post follow up articles with small analysis of the companies listed above and I will also do my research about the diversification of my portfolio and make a follow up post on that. Interesting top 10 IWD! I have two stocks out of your top 10: Abbvie (currently my largest position in €) and Unilever (top 5). I’ll be following your post closely, eager to learn something from your stock picking metrics.